Dear readers: This flashback feature originally appeared on Grandma's Briefs July 1, 2014. 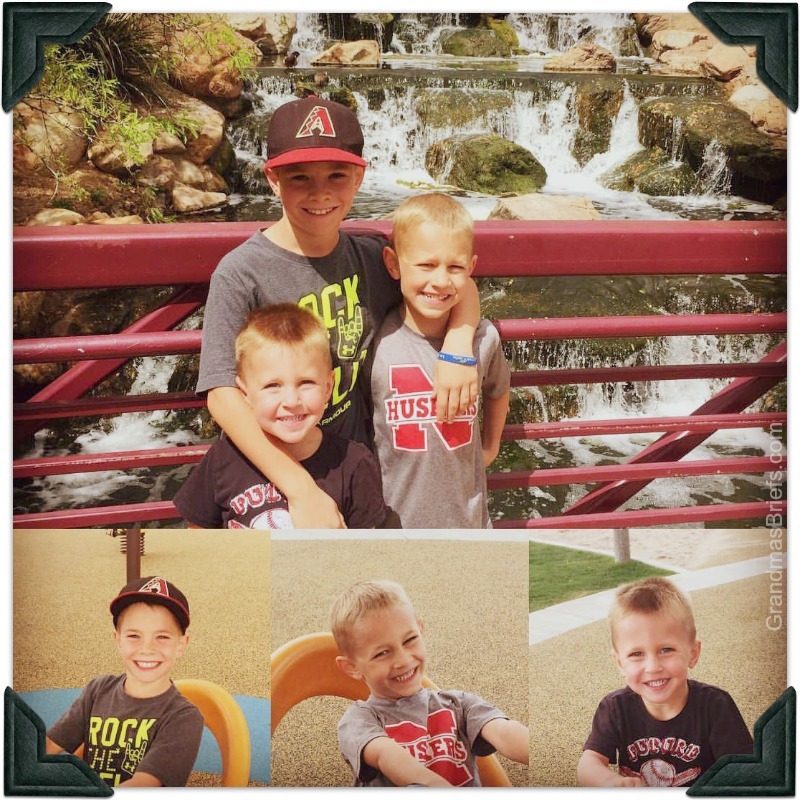 As I'm missing my desert-dwelling grandsons today, it serves as a good reminder that there are at least fourteen things to celebrate about the long-distance grandma status. Thank you for reading this rerun. 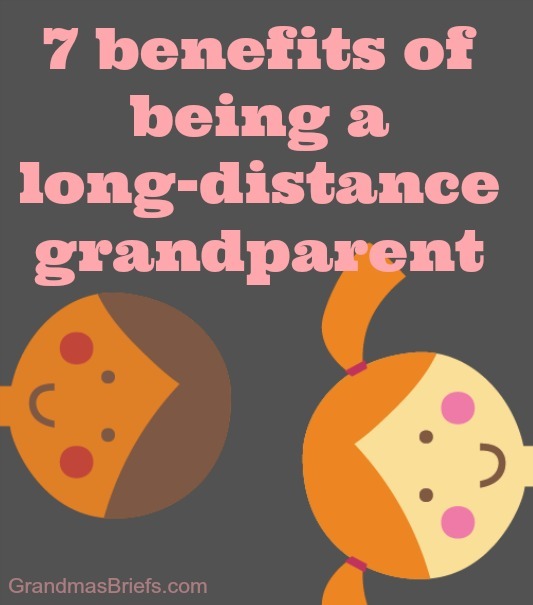 Being a long-distance grandma can be hard on a grandmother's heart at times. There are, however, several perks to having plenty of miles between Grandma and her sweeties. Here are fourteen of them. Grandma Terry Chamberlin has come up with a pretty sweet subscription service for serving up grandma-style food activities from faraway. When three of Terry's grandchildren moved away from her, she began sending them boxes of cookies and treats to go along with their Skype sessions. 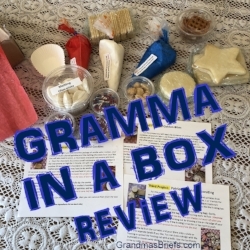 She soon realized other grandmas just may want to do the same, and the Gramma in a Box subscription service—tagline Gramma does all the work. You have all the fun!—was born. Megan and I have been on opposite schedules of late, especially in terms of scheduling a FaceTime rendezvous with my grandsons. She and the boys are busy with the start of the school year and all that goes along with that as well as baseball for Brayden and flag football for Camden. I've been busy building a better blog. On Monday, I kicked off the GRAND Social link party by sharing a text from my daughter Megan about the scorpion family she found in her kitchen. Based on the comments to that post, I probably should have included a mention that Megan does indeed have her home regularly sprayed for the creepy crawly things that reside in the desert. The "Bug Guy" — as the scorpion (and other stuff) sprayer is affectionately called by Megan and her clan — visits so often, in fact, he's virtually family. Or such was the case with one of Megan's long-standing bug guys. Even I met him a time or two during my desert visits. This particular bug guy was an affable man, quite conversational and clearly concerned with the safety and well-being of my daughter and her family. It saddened Megan so when her beloved Bug Guy moved away. Alas, as bug guys are a necessity in the desert, Megan found another... one who sprays as frequently as her former favorite. But being the desert and all, certain creepy crawlies do manage to escape the bug man's poison and strut their stuff now and then, both inside and outside the homes of even the most diligent bug destroyers. I'm not sure whether to attribute it to his determination to keep up with his two older brothers or to the limited amount of time I've had with Jak in his toddler years compared to how often I saw Bubby and Mac in theirs. But — gee whiz! — it sure seems to me my youngest grandson is maturing So. Much. Faster. than his brothers did. A recent share from Megan confirms my assertion: The not yet three-year-old already sports a mustache.